Marine Science Magnet High School (www.marinesciencemagnet.org) located in Groton, CT, USA organized a successful fundraising event that garnered $500 for AwF. Eric Litvinoff, the Aquaculture teacher at the school, is a graduate of the University of Rhode Island. He learned about AwF from one of his professors, Dr. Barry Costa-Pierce, and that information came to mind when he took up his teaching position at Marine Science Magnet H.S. Students at the school are encouraged to do community service, which is the purpose of the Interact Club. AwF came up during discussions by the club members about possible fundraising projects they could do. Consequently, Eric contacted AwF Director Dave Conley to discuss how the students could become involved. At the time, Haiti was one of the places that AwF was focusing its attention, so the discussion leaned toward how the students might be able to help there. Bill Mebane at the Marine Biological Lab in Woods Hole, MA, manages the Sustainable Aquaculture Initiative (SAI), a 12-year project to help teach Haitians how to farm fish for food security and to earn income. Bill has developed a modular turn-key family fish farm that all fits inside a 45-gal steel drum so that it can be easily shipped to Haiti and transported or ‘rolled by hand’ to a suitable site. Everything needed to construct the fish farm is packed into the drum – wire mesh to support the vinyl liner, air pump, air stone and tubing, plastic pipes and fittings, bio-filter and media, and a solar panel to power the air pump. The steel drum is used as the water sump. Bill has managed to get the cost of the module down to below US$ 800. The students seized upon the idea of raising enough money to build one module to give to a needy family in Haiti and set out to raise the necessary funds. They created posters to put up in the school and at various places in the neighborhood, and published a brochure promoting AwF that students took home to distribute to family and friends. The fundraising event – a pasta dinner at a local restaurant – was hosted by the students. They did everything themselves – selling tickets, delivering food and cleaning tables. At the end of the evening they had raised US$ 500 for AwF! Following the fundraiser, Eric contacted Dave at AwF to discuss how the money could be delivered. He invited Dave to come to the school to accept the check from the students and to give a brief presentation about AwF and what the organization was doing. Given that the students are very knowledgeable about aquaculture, Eric knew that they would really enjoy hearing about some real world experiences/projects that were currently happening. Dave suggested that instead of him, perhaps the students would like to hear from Bill Mebane about his experiences in Haiti and to learn more about his prototype family fish farm. Eric agreed and it was arranged. The students were all very excited at the prospect. All had completed at least one course in aquaculture, covering topics from system design, environmental benefits, feed/nutrition and shellfish cultivation. They were very interested in AwF and the idea of teaching others how to grow their own aquatic crops. Discussing this event and its inspiring outcome, Dave and AwF Executive Director, Roy Palmer, hit on the idea that perhaps there was an opportunity here to capture this student enthusiasm and channel it to helping AwF fulfill its mission of capacity building in developing countries. There are high schools, colleges and universities all around the world that provide courses in aquaculture and/or related subjects. Perhaps these educational hubs could be networked to provide information and knowledge sharing between students from different parts of the same country as well as different parts of the world. What a fantastic way to build capacity, by bringing aquaculture students together to share and learn from each other. Looking at the larger picture, when these students graduate they will be looking for opportunities in the aquaculture field. 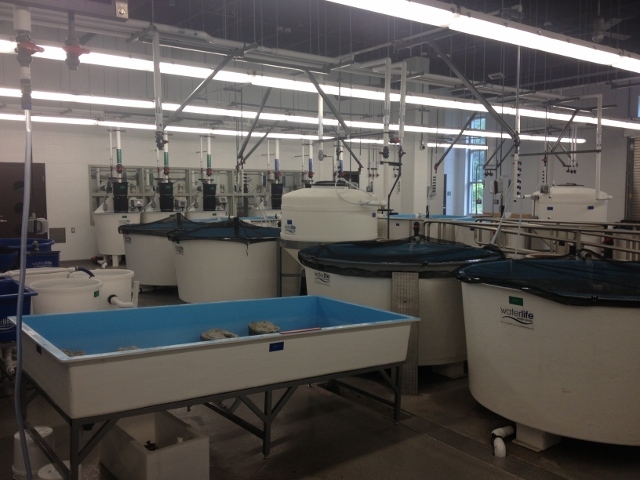 Perhaps AwF could provide hands-on internships at the Aquaculture Learning Centers (ALCs) that are now being developed. We think this concept has ‘legs’ and can be achieved with leadership from the AwF Capacity Building Committee created at the WAS conference in Nashville, USA last February. Since June, Roy has approached some learning institutions in Australia about the concept and has been enthusiastically received. We think this is a good sign! If you are interested in helping the Committee move this concept along, please contact Dave (dave@aquacomgroup.com) or Roy (palmerroyd@gmail.com) directly. 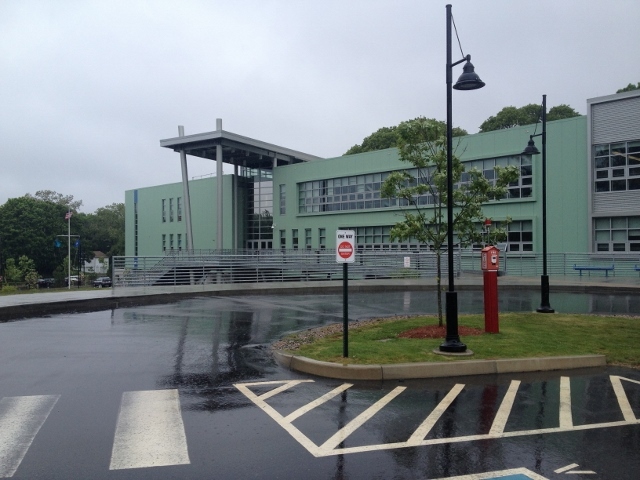 Getting back to Eric and his students, here are some photos of Marine Science Magnet High School and the aquaculture facilities they are so fortunate to have. For more information about the school and its Aquaculture program, contact Eric Litvinoff, Aquaculture Teacher, Marine Science Magnet H.S., Elitvinoff@marinesciencemagnet.org or visit the website www.marinesciencemagnet.org.